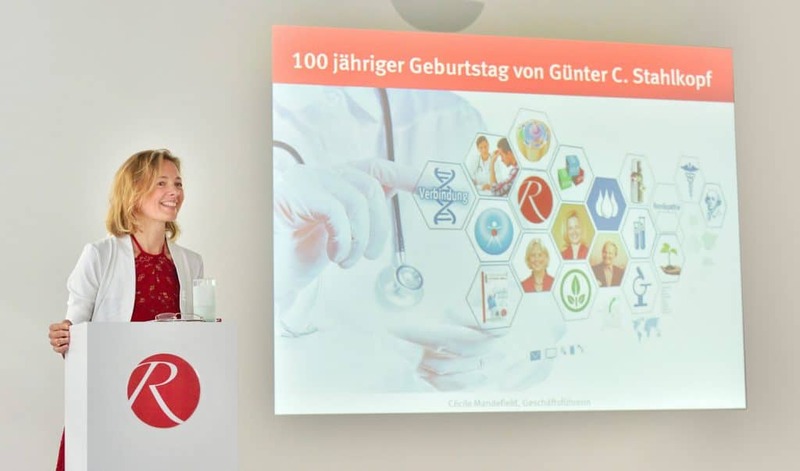 On behalf of the CEO Cécile Mandefield – daughter of the company founder Günter Carl Stahlkopf (1918 – 2000) – The REGENA Group has invited on 16th June 2018 to a specialist congress in memory of his 100th birthday and to the jubilee congress of 55 years REGENA-Therapy at their headquarters in Tägerwilen in Switzerland at the Lake of Constance. The congress‘programme impressed through new ways of presentation, which Cécile Mandefield had personally shaped in a way to offer „Space, Time and Affection“ for the professional exchange, as well as for exercise. The broad programme ranged from the strategic vision “Grow together enrooted”, in order to strengthen the integrative medicine towards the patients together, who should always take centre stage. To present this key matter of the treatment of people in a clear and perceptible way, several patient dialogues have been virtually reconstructed. The speakers Dr. med. 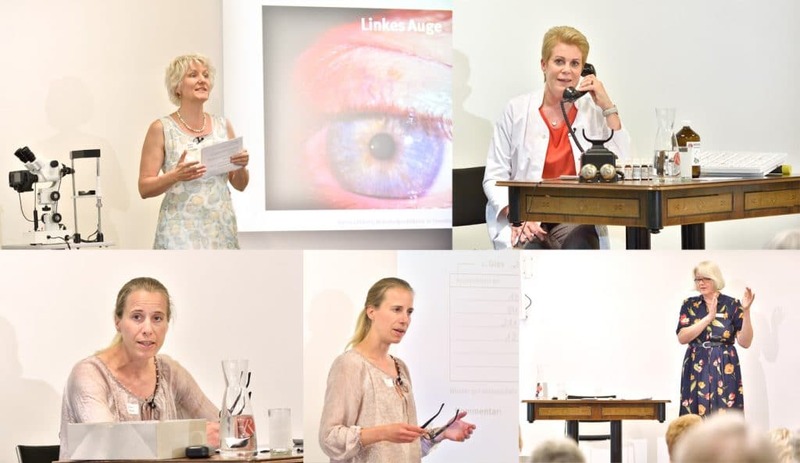 Ursula Andrien (D), as well as the therapists Kirsten Beckmann (D), Kathrin Böhning (D) and Andrea Bührer (CH) presented selected cases through role plays, without the patients being present. The aim of this form of communication was to let the therapists slip into the role and especially in the emotions of the patients. This is an important point during the anamnesis and for the authentic dialogue, in order to provide help, to change the perspective and to really put the patient at the centre stage. In doing so, everything was meticulously planned: the anamnestic instructions for the selected therapy plans, the humour, the dramaturgical highlight and the appropriate props to bring the stage alive. REGENA is not isolated: In order to fulfill the motto and intent to build a bridge between human and provision, two presentations on the subject oft he individual medicine were the focus of the afternoon. For one thing, Prof. Matthias Heiliger (D) of the Swiss Medical Center gave a lecture on the challenges to offer very specific treatment concepts for patients that are affected with serious pathogens, like the Borrelia, for which it was possible to set up a successful treatment plan with REGENA. 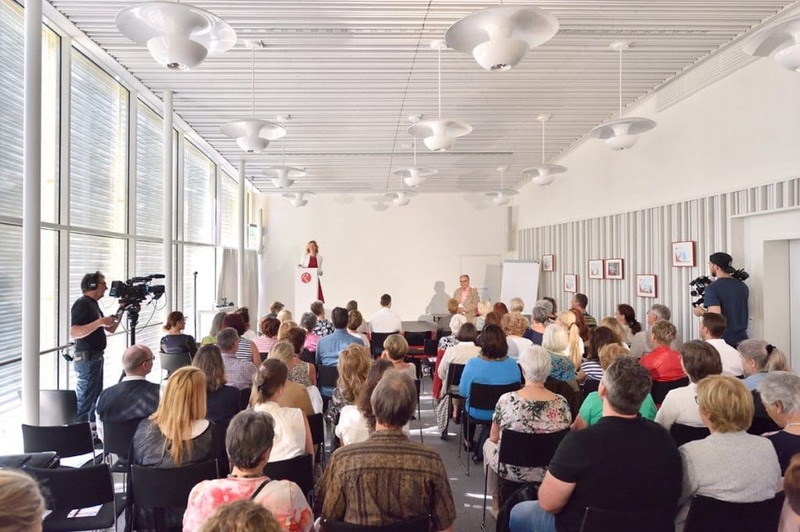 On the other hand, nutritionist Sybille Binder (CH) of the nhk Zurich showcased the central aspect of the alimentation in all bowel diseases and also presented the role of a completely individual approach, depending on the patient. Since the detoxification is at the core of the REGENA Therapy for each therapy plan, it was unsurprising to offer a platform for the basis therapy. However, the concept and the design were impressive. Cécile Mandefield (CH) pursued the idea of ? ?raising REGENAPLEX to a new visual, yet physical and spatial dimension with individual dance performances on the basis of the four REGENA-Basis-Remedies: The dance embodied the states in which a human being resides if the lymphatic flow is blocked or the kidney function is impaired – as a paired organ also symbolically spoken – if the intestine is cramped or permeable and if the liver becomes tired because it piles up anger. In doing so, the effects of REGENAPLEX, which take these connections into account, breathed in dynamics and rhythm and created a new approach. In the choreography of Sarah Frank (D), who successfully accompanies, among others, tango therapy Parkinson’s patients, and with five professional dancers, found the ideal cast to implement this concept. 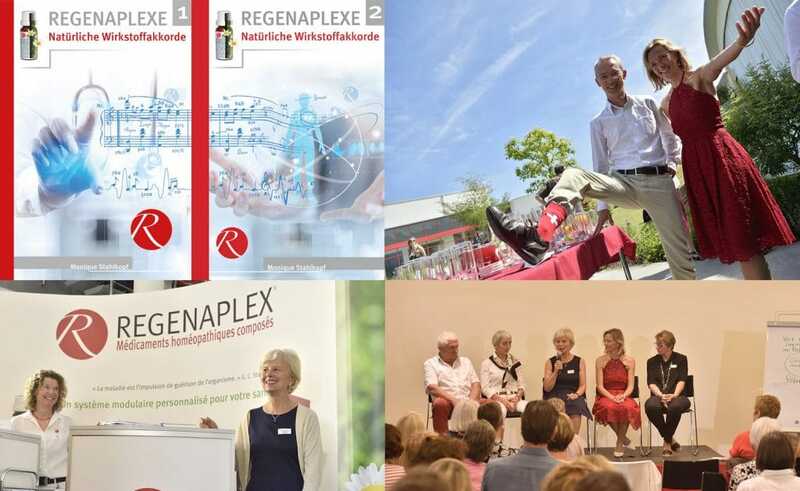 Monique Stahlkopf (CH), owner and founder of the REGENA Academy, published her second book “REGENAPLEX – Natural Active Ingredient Chords” with another 76 complex remedies after more intensive years of preparation. The lively rush at the exhibition booth showed the great interest in this practical workbook. The opportunity to gain insight into the production and logistics processes, which is currently facing great challenges in the regulated pharmaceutical industry for the complementary medicine sectors, has been widely used. Under expert guidance, the medicinal plant garden in its most beautiful splendor in glorious weather provided an ideal backdrop for a completely successful congress. This was completed by the culinary enjoyment of a freshly prepared summer buffet and ice cream cart in the afternoon. Lorem id neque. dolor at adipiscing ut efficitur. mi, porta.